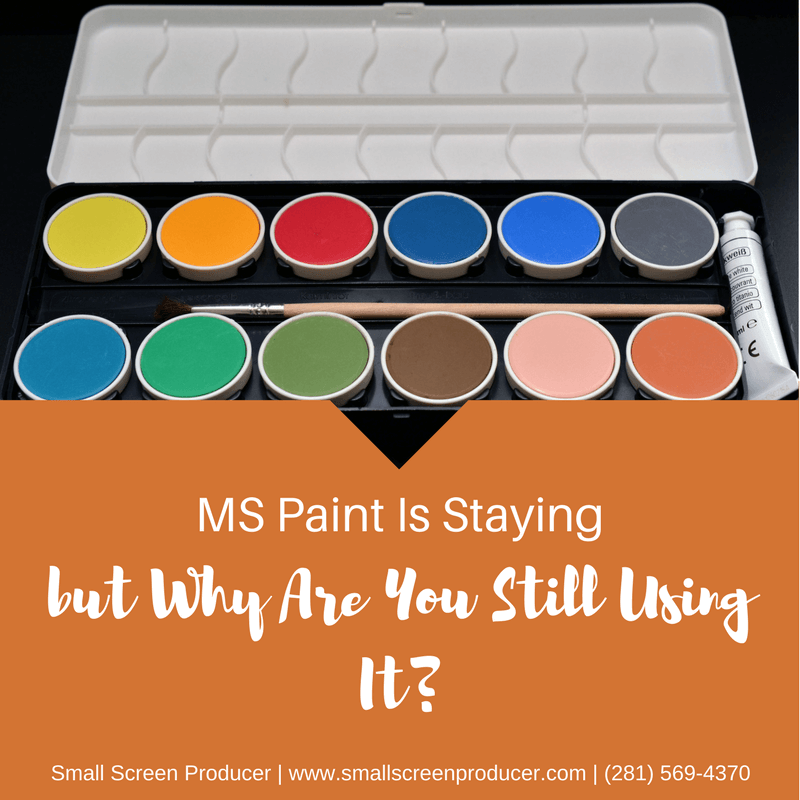 MS Paint Is Staying – but Why Are You Still Using It? When the Windows 10 Fall Creators Updated listed MS Paint as “deprecated”, fans of the program feared that it was a goner. After a massive outcry over the Internet, however, Microsoft quickly stepped into clarify that MS Paint is here to stay. The only difference is that it will now be available for free from the app store rather than be a default program in Windows. Even with the incorporation of Paint 3D in Windows 10, users do not generally love MS Paint because of the stunning graphics it produces. In fact, many of the graphics produced by MS paint look basic if not juvenile depending on the skill level of the designer. People love MS Paint because of its simplicity. It having been around for 32 years may also have something to do with nostalgic users begging for it to stay. It’s a well-known fact that content with high quality images receive more “Favorites”, get more clicks, and are retweeted far more often than content without images. Because content with images are more shareable, brands should also make an effort to go for high quality graphics since these graphics are part of what is representing you across the entire World Wide Web. Small Screen Producer (SSP) uses the latest technologies and techniques to produce top quality marketing graphics for brands, from specific marketing promotions to images for ongoing content, social posts, Google ads, and web design. To learn more about our graphics options and how you can improve your reputation online with rich, digital images, we invite you to speak to one of our online media marketing experts today at (281) 569-4370.